This topic contains 8 replies, has 4 voices, and was last updated by Anonymous 10 years, 10 months ago. 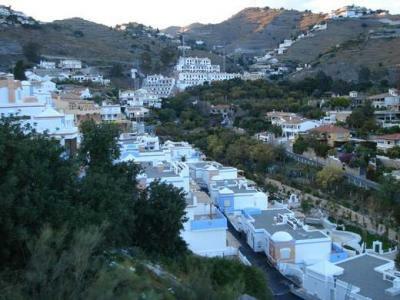 The Junta de Andalucía has suspended the licence for the Arroyo Marinos development in Almuñecar. The licence was for the construction of 64 homes, but the Junta says it goes against municipal planning norms in the town. News of the decision has been published by Ecologistas en Acción who originally placed a complaint about the development in April 2007. They claimed that the development in a valley would have the effect of stopping floodwaters reaching the sea in the case of torrential rain. A subsequent study from the regional public works department concluded that the licence had to be revised and called for a suspension, despite the fact that the local town hall had granted first occupation licences. Does anyone know if this development has actually been built/occupied? On first reading I thought not until I read the local town hall has granted the LFO’s. Am interested to know how ‘late in the day’ the Junta has made this decision. who are the developers there? Already built it would seem. Developers are Coreal Procentro SL. An SL company often has a capital of 3000 euros for creditors. Often, the company president is granny who has no ‘patrimonio’. Thanks for the links hillybilly and you’re right, it has been built. Will be interesting to watch this one. The situation may give an indication of how far the Junta will actually go on illegal developments. Bulldozing one villa as in the Prior’s case is one thing, tearing down a whole development is another. How stupid the Junta didn’t object earlier. And which bright spark thought it would be a good idea to build this in a ravine, paving over a channel that’s needed for draining when there is torrential rain. I wonder how many families are involved, joining the many who are now in limbo and potentially out of pocket.